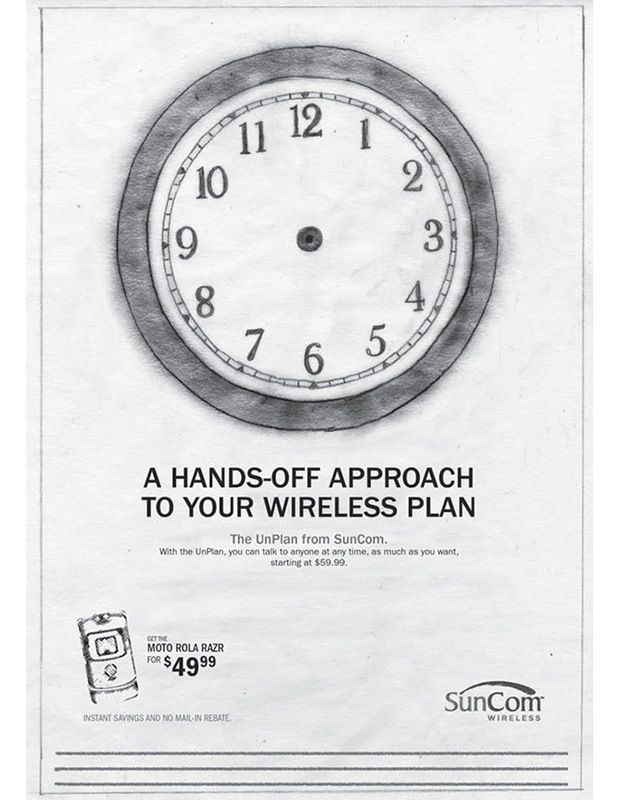 SunCom, sadly now absorbed into a much larger mobile provider, was a client I worked with during my days with Bernstein Rein Advertising. 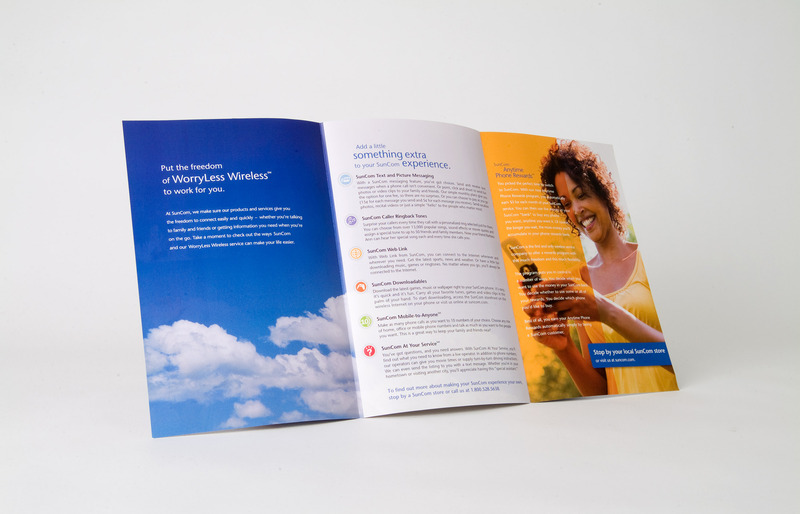 I worked on various extensions of their brand – direct mail, advertising, a glimpse of TV, and the occasional logo project that you can view here. 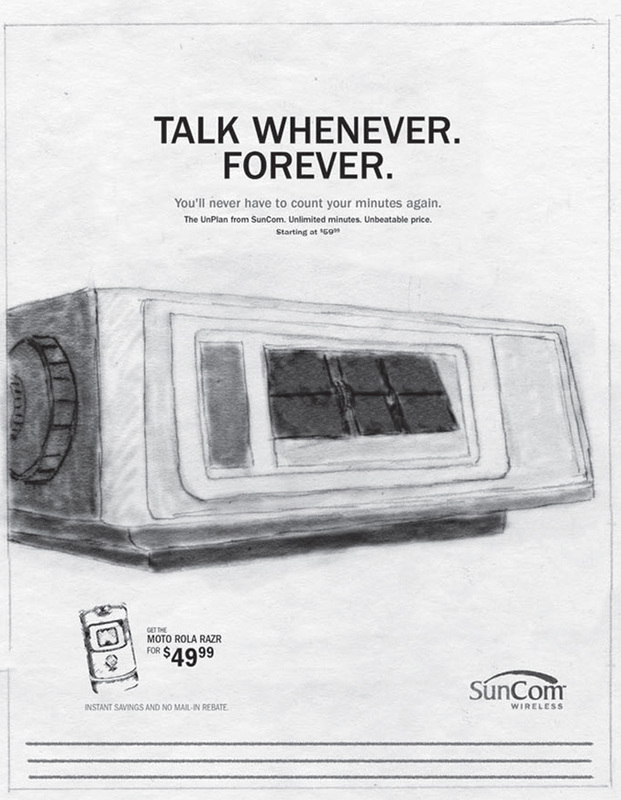 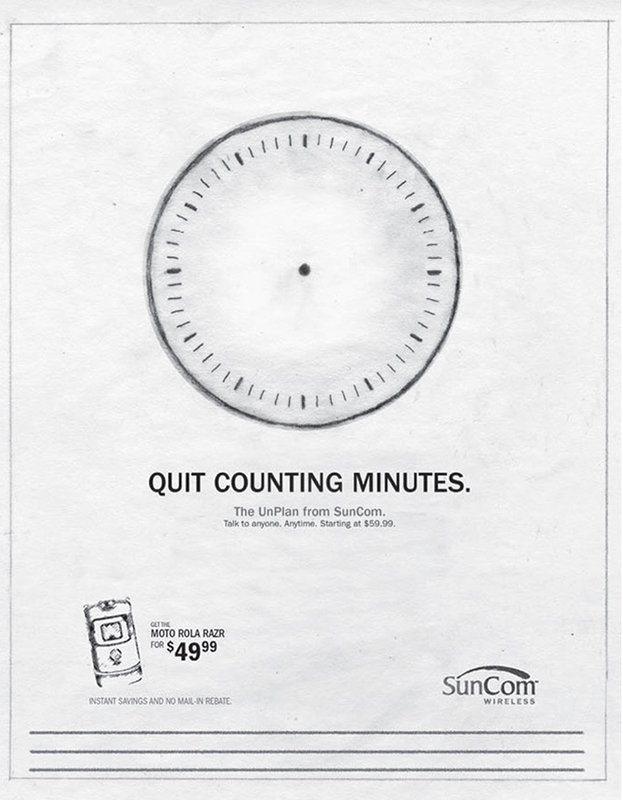 For the many and various projects I was a part of during my time with the SunCom team, I was usually paired with a copywriter. 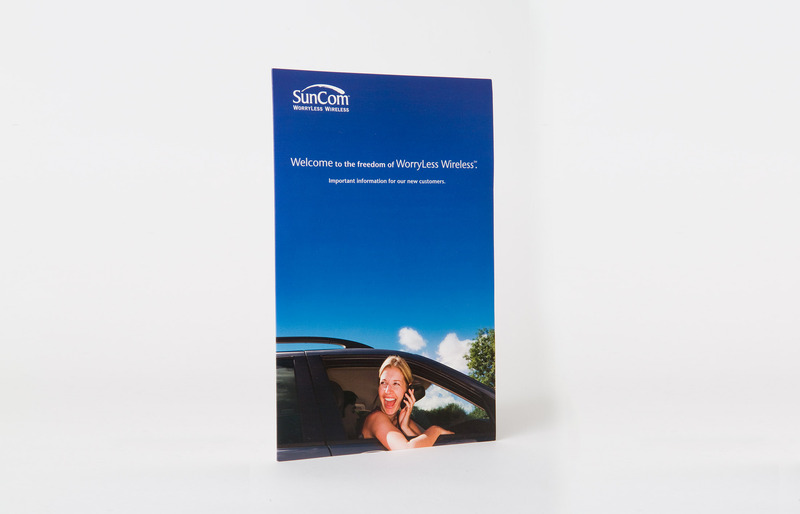 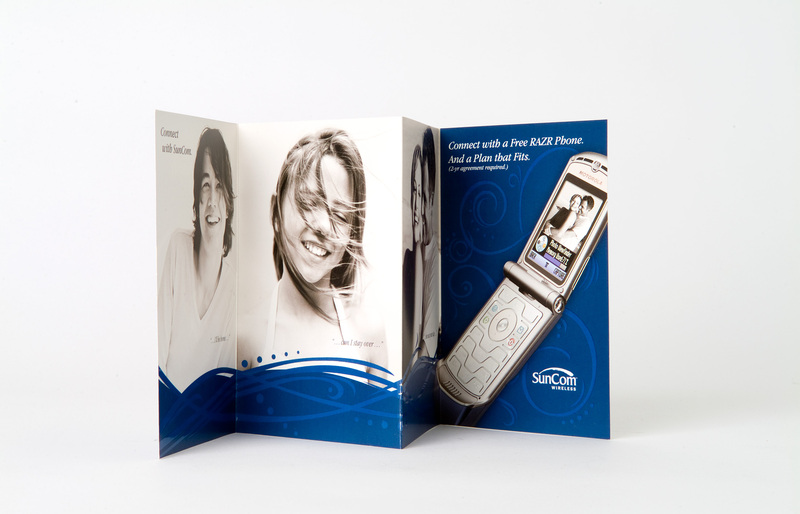 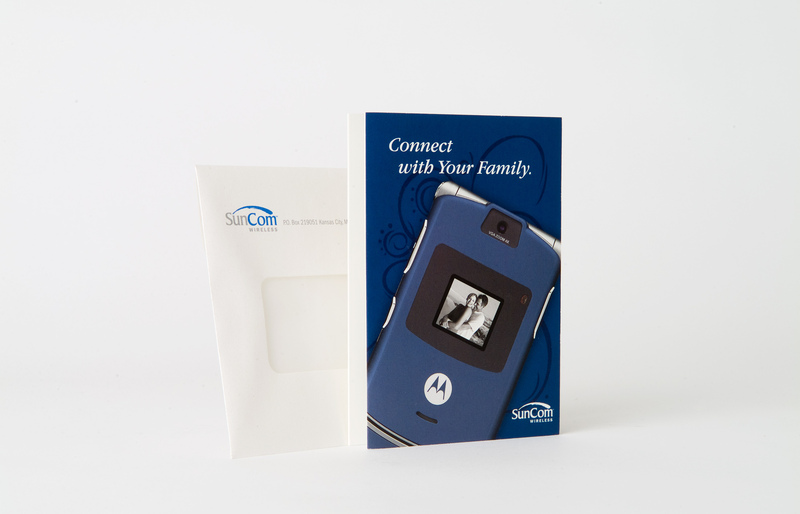 What you see here today is a mixture of a welcome kit for new SunCom customers, a Z-Fold promotional direct mailer, and a few conceptual ad ideas.